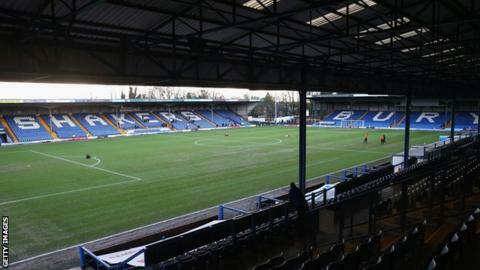 Bury's League Two game against Colchester United will go ahead after an agreement over unpaid wages. Last month's salaries, which were due on Friday 29 March, have still not been paid, but BBC Radio Manchester reports that they will be next week. The situation at the club was described as "extremely concerning" at an English Football League meeting on Thursday. "The match is on and an agreement has been made with players and staff in regard to wages," a statement said. The club stated on 2 April they were working to resolve "unforeseen circumstances" which led to the delay on paying wages. Bury had a winding-up petition adjourned in the High Court until 15 May on Wednesday, with HM Revenue & Customs owed approximately £277,000.